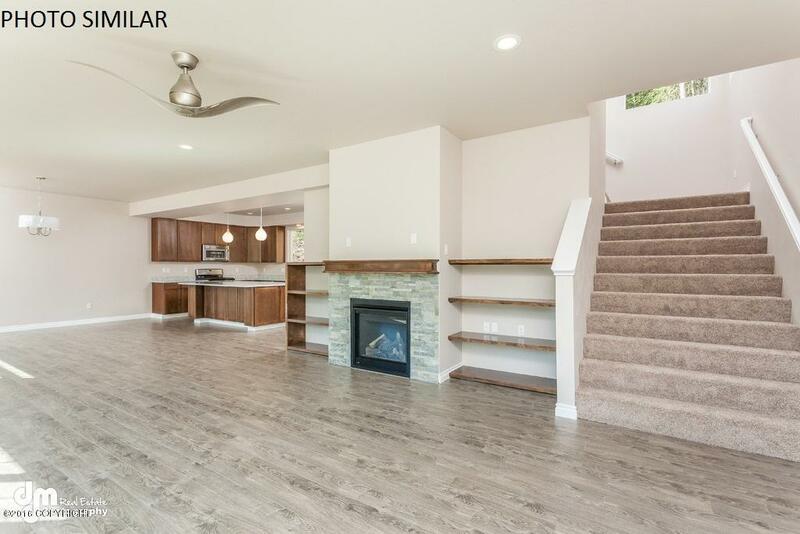 Construction complete ~ SINGLE FAMILY with XXL 771 sqft 3-car garage w/10' ceilings. 4 beds & laundry all on one floor. Surrounded by nearly 7 acres of greenbelt. Lg open kitchen with 8' x 5' granite island & lg pantry. Grt rm concept, 9' ceilings, tiled fireplace, expansive windows let nature indoors. Deck off dining room. $3000 in closing costs with Residential Mtg.